A rare chance to watch a master up close as he works through his magic. Taleem with Grammy-nominated sitarist Ustad Shujaat Khan is a powerful re-establishment of the fundamentals of Hindustani classical music. The development of a raag will be deconstructed and then effortlessly woven back in a vivid illustration of the intricacies of the genre. 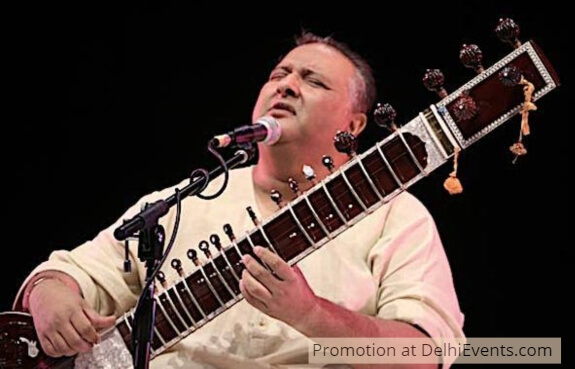 Ustad Shujaat Khan, the seventh-generation scion of the Imdad Khani Gharana, is also a specialist in the gayaki ang - a style of playing the sitar that mimics the sound of human voice. A departure from the concert format, this intimate recital presents a fascinating journey into the oldest form of Indian music to exist. This program was enabled by the support of the Jaquar Group.